There’s a magical thing that happens when the right people share a vision. It takes more than an idea to innovate, more than a demand to design and more than a promise to produce truly essential work. 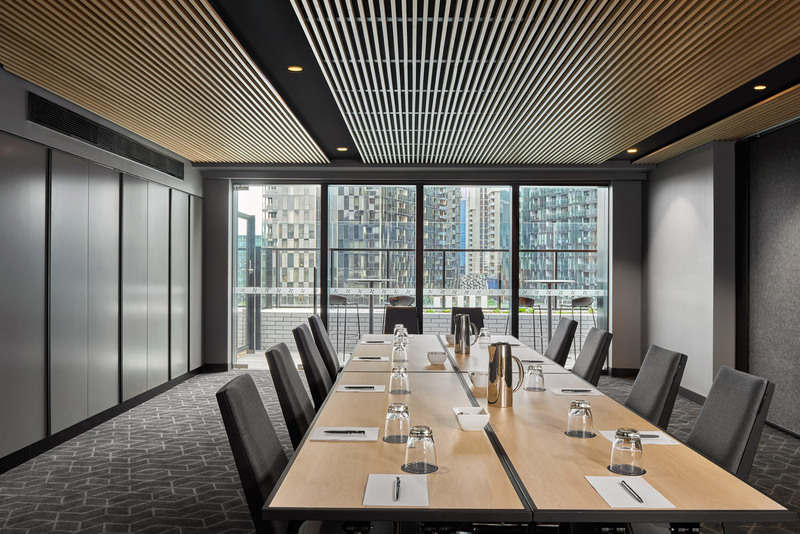 What it actually takes, is passionate working relationships; and that’s exactly what Ramler International strives for when it takes on new projects. 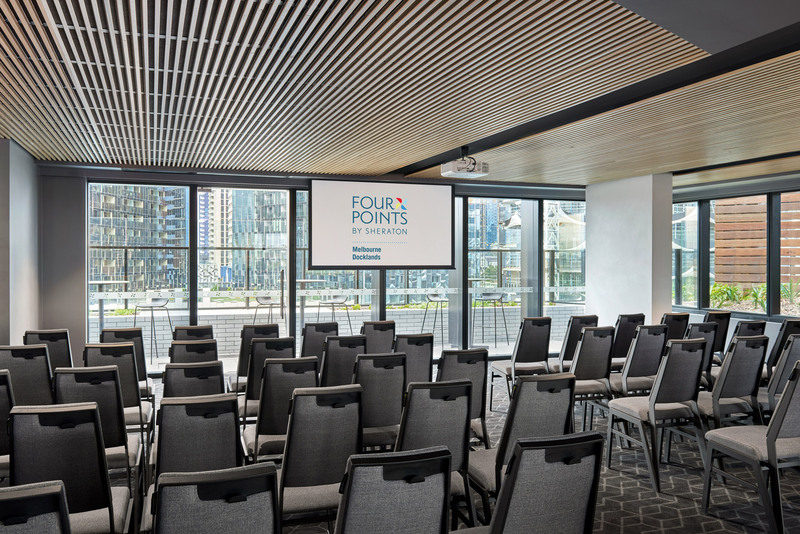 I could see this was the case, plain as day, in the recent Ramler collaboration at Melbourne’s newest April 2017 hotel, Four Points by Sheraton Melbourne Docklands. As editor of AMG, I visited the property not long after opening to experience the work achieved there firsthand. 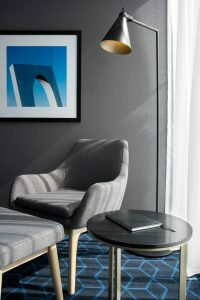 What stood out straight away was the strength of the ongoing relationship between Ramler’s core team and Four Points’ management, as well as the engaging relationship between incoming guests and the furniture design. It was a fascinating case to study, so I can only imagine how incredible it was to work on from beginning to end. 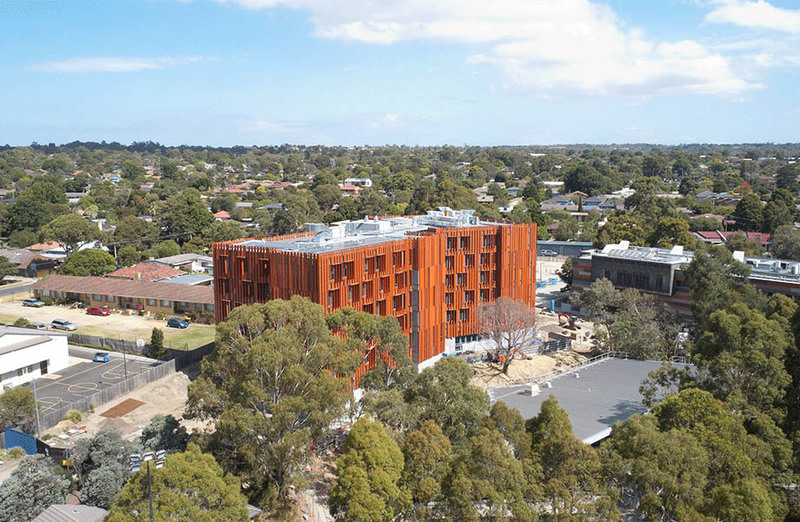 The project itself took two years of designing, prototyping and large-scale producing but, as account manager Rob Gilshenan cheerfully shared with me, the relationship between Ramler’s team and others involved in the project continues indefinitely. In this case, that includes overseas owner Hiap Hoe, project manager Sinclair Brook, interior designer DKO and project builder Probuild. The ongoing communication allows them to see their shared vision put in practice: something that must provide incredibly valuable insight. 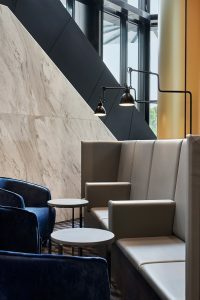 In the lobby area, business guests lounged squarely on tall-backed armchairs, phones and laptops plugged into the custom seating; while families took selfie turns, snapping pics by the colossal mural and standing small children on firmly cushioned stools to reach different angles and patterns. This brought on some jovial smiles from my Ramler hosts, “you can never predict all the ways that people will use your furniture”. That’s one of the interesting facets of Ramler International: it leaves space for loose interaction. The relationship between guest and guest furniture is certainly earmarked by them from day dot. 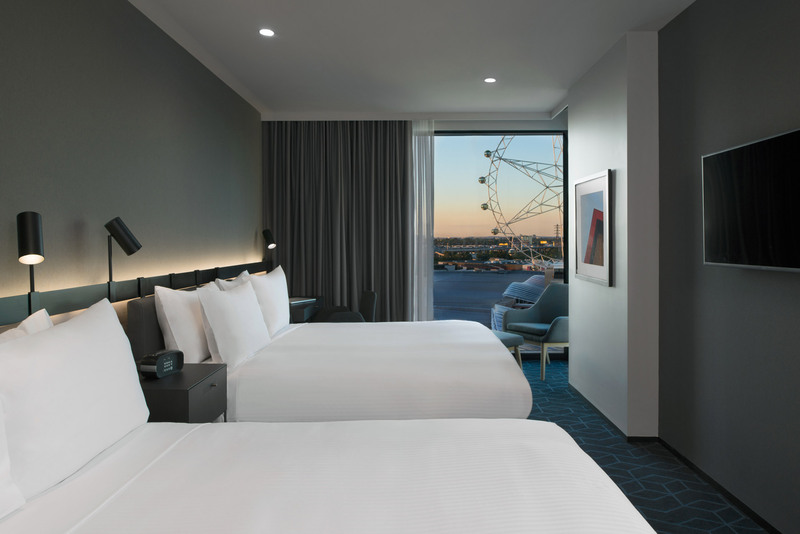 Up on the guestroom floors, Four Points’ general manager Stephen Ferrigno walked us around every corner of, what he lovingly dubbed, “my hotel”. What was striking about the furniture design in each corridor was the combination of strong, almost exaggerated, geometric lines and soft, round spotlighting. I loved the practicality of placing high-armed sofas next to smaller loungers; it told me I could sit and read without being watched by passers-by. Likewise, guests could meet and chat without disrupting anyone’s vibe. The funny thing was that, in many ways, the furniture did disrupt the space. Like a well-organised party, each moment spent sat with a piece would lead guests to something else. I watched one man sit in a round lobby armchair, laptop on his knee; he had his backpack sat on a stool at first, then spotted a charging outlet at the base of the lobby sofa-seat; he swirled over, now facing the hotel bar; then he glimpsed a beautiful feature of the hotel, the pendant lamp, hanging above the bar and pulled out his phone to take a photo; this was when he was asked if he wanted a drink, which provoked an order; finally he jumped up to lean on one of the plush, teal barstools while he waited for his beer. This was one of many guests I saw bounce around the hotel foyer and it just highlights how beauty and usefulness can come together with bespoke furniture. 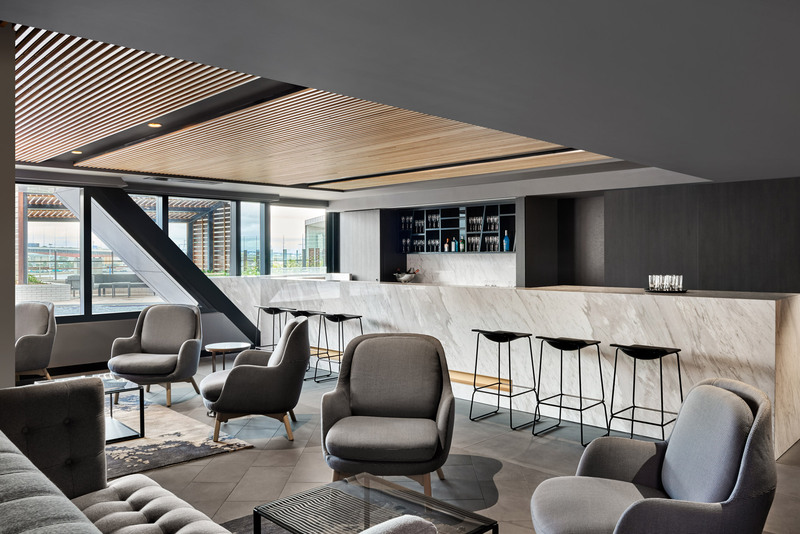 It’s what Ramler mean when they suggest that “lustrous fabrics, cool timber colours and organically shaped furniture pieces compliment the modern, business-oriented accommodation space”. 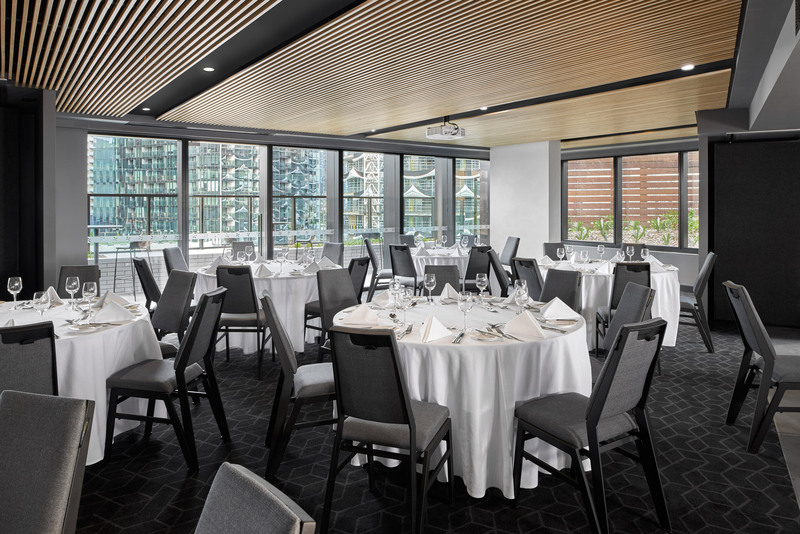 The careful consideration of what guests find useful, as well as beautiful, was something that really struck GM Stephen after working with the Ramler team. “I’ve learnt: don’t lose sight of the guests and their focus and what they want, when we talk about designing things. We’ve always got to go back and wonder ‘is this a buying decision for guests?’, ‘is this what they’re asking for?’, ‘is this what they expect?’,” he told me. I asked Stephen about his favourite corner of the hotel. He immediately lit up, talking about “the seventh floor”. 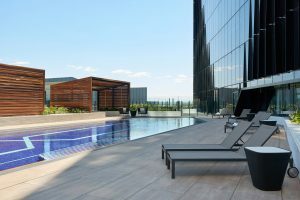 This is where many of the hotel’s guest facilities are, including the fitness centre, steam room, spa and most prominently the pool deck and Sky Lounge. 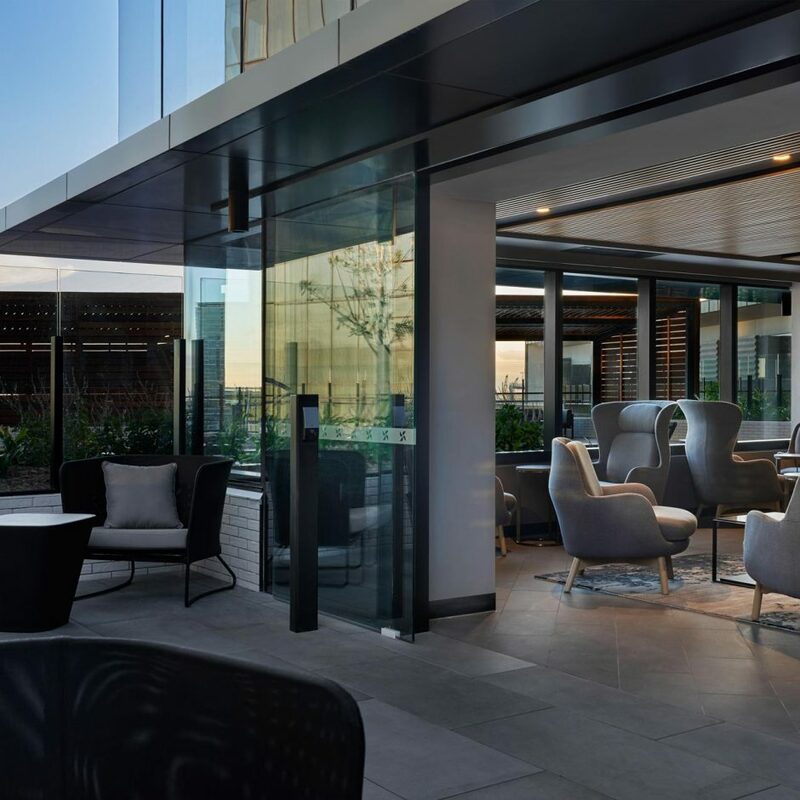 Ramler is responsible for a huge amount of this floor: modular outdoor seating, sun loungers, tables, illuminated planters (a popular feature among guests), custom rugs, and a lot more. There was a real brightness that flowed, even though plenty of the adjoining nooks and corridor crannies were kept atmospherically dark. 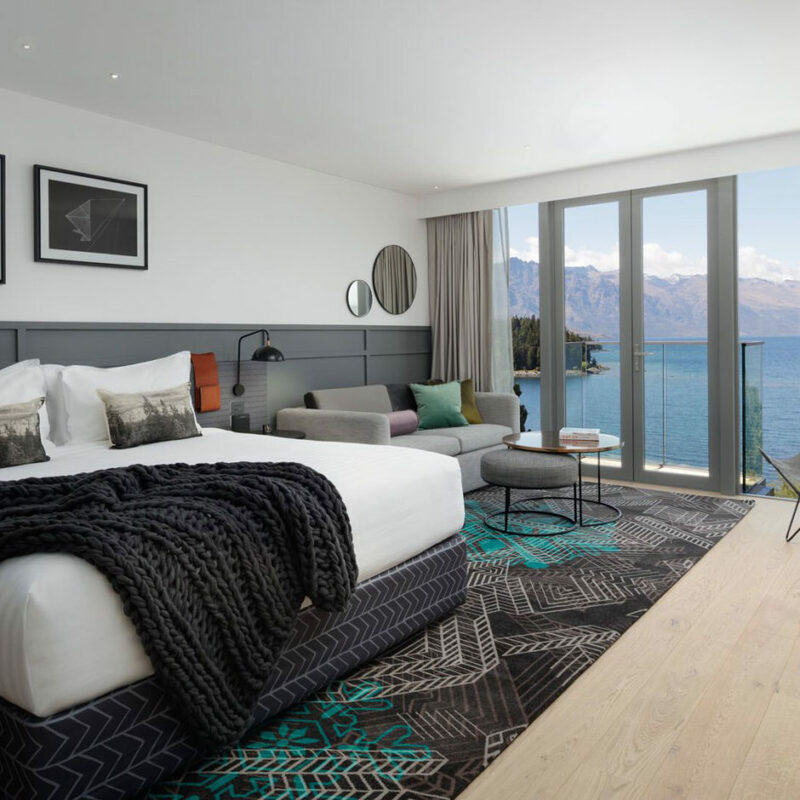 When Stephen showed me into different guestrooms, he was excited to point out each artwork, asking me what was my favourite and what did I think about each picture. Absorbed in some of these moments, it felt like we were hopping around an art gallery. Isn’t it quite magical when the right people share a vision? 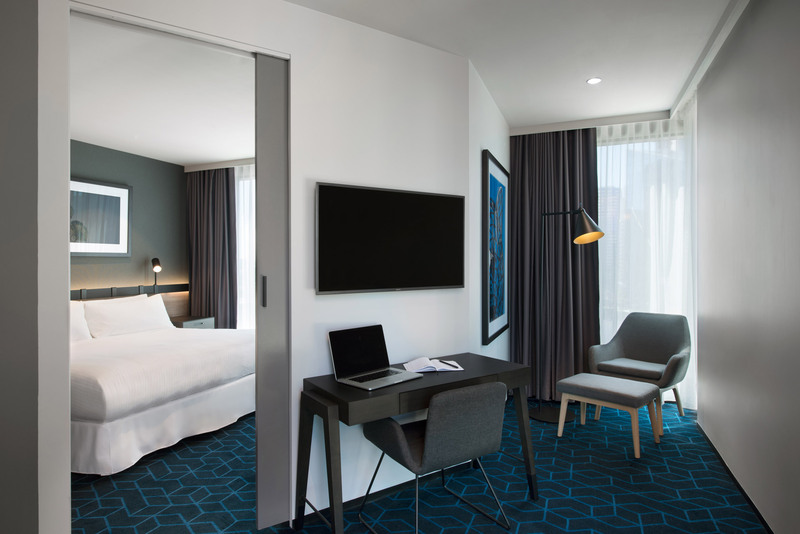 All 273 guestrooms were furnished by Ramler, including 16 studios. Intuitively designed, everything felt like a nice surprise. The lightness of the dining table, the depth of the floor lights, and cosy sleekness of the desk set-up.